Depression can be a very debilitating condition and can render one incapable of maintaining a gainful occupation. We have helped countless Veterans obtain high ratings for depression. Sometimes these depression claims are the basis of a direct service-connection theory or they involve secondary service-connection. On a direct theory, the depression would have its early onset during service. On a secondary theory, a depression would develop as a result of something that is service-connected already. For example, if you are service-connected for a chronic low back issue with pain that is very debilitating and the pain produces depression, then you would be service-connected for the depression secondary to the low back condition. Currently, secondary claims for depression constitute a large percentage of our depression claims in our office. If you suffer from depression and you are service-connected for other debilitating service-connected disabilities, then you may wish to consider pursuing the depression claim on a secondary basis. 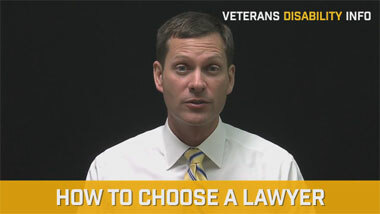 Regardless, to win a depression claim and obtain the appropriate rating requires aggressive representation. If the VA cannot deny the claim then their next strategy will be to not assign a fair rating. If you have been denied an appropriate rating for depression or another mental health disability, then you need to aggressively respond to this with an appeal. 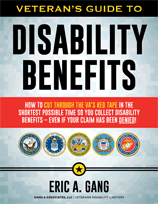 The VA is notorious for low balling Veterans on ratings or mental disabilities. In general, if you are unable to maintain a gainful occupation and have GAF scores of 50 and under, then you should be rated at the 100 percent rate assuming that you are not otherwise functioning at a high level in other areas of your life. In addition, sometimes the key to winning these claims involves establishing the onset of depression at a time and proximity to discharge where there is an absence of intervening events that could otherwise explain the onset of depression. In other situations, a Veteran may turn to drugs or alcohol during service as a way of self-medicating his feelings of depression. In these circumstances, it can be argued that the use of drugs or alcohol represents a symptom of underlying depression that is being masked by the illicit drugs or alcohol. 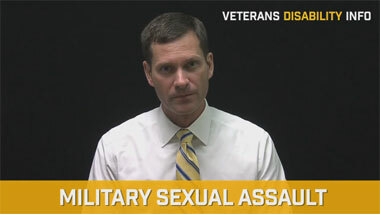 Many times a Veteran’s use of drugs and alcohol is a self-medicating attempt and in and of its self, in our professional opinion, represents the existence of psychiatric problems.